Arthur "Bucky" Barrett was a small-time jewel thief in 1983 when he was lured to a meeting with alleged Boston mobster James "Whitey" Bulger, chained to a chair and tortured for hours, a federal prosecutor told jurors during opening arguments in the accused Irish gangster's murder trial today. "It's crimes like these, vicious crimes, that Bulger stands accused of,'' Kelly said, telling jurors that the Bulger case will tell the story of "a group of criminals that ran amok for almost 30 years." While they went amok, Kelly said, people died. Bulger killed Eddie Connors because he had a big mouth; Brian Halloran was executed, along with his friend Michael Donahue, because he was an informant; Roger Wheeler refused to play ball; Debbie Davis was a liability, Kelly said. Then the prosecutor played a slideshow with photographs of all 19 people Bulger stands accused of killing, including two women. "At the center of all this murder and mayhem is one man: James Bulger,'' Kelly said. "He was a hands-on killer." 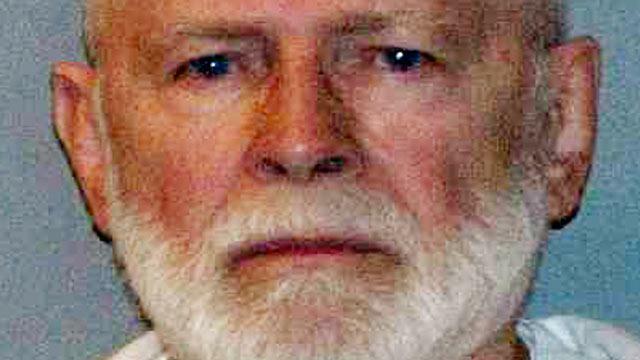 The long-awaited Bulger trial began 18 years after Bulger fled Massachusetts and became one of the FBI's Most Wanted fugitives, second only to Osama bin Laden. Bulger escaped prosecution until today, Kelly said, because he had been tipped to a pending federal indictment by a corrupt FBI agent and went on the lam, settling in a small apartment in a tony section of Santa Monica, Calif., in 1996 with his longtime companion Catherine Greig. "Bulger runs away and hides,'' Kelly said. "But then his luck ran out." In June 2011, more than a dozen FBI agents and U.S. marshals waited in the garage of the Princess Eugenia apartments where Bulger and Greig lived as Charlie and Carol Gasko for 16 years. Their apartment was rent-controlled and two blocks away from the beach. The building's manager, Josh Bond, cooperated with FBI agents on the night Bulger was arrested and told his neighbor Charlie that someone had broken into his storage locker. When Bulger came into the garage, he was arrested. He called Greig from an agent's phone and said, "It's over." Bond had befriended "the nice old man" and told ABC News he continues exchange letters with Bulger, who is being held at the Plymouth County House of Correction near Cape Cod. Bulger's attorney, J.W. Carney, attacked the credibility of some of the government's witnesses who are ex-mobsters who are expected to testify against him. But the bulk of his opening statement was about the "depth of corruption in federal law enforcement" he claims ran rampant through the Boston FBI field office throughout the 1970s, 1980s and early 1990s. He also dejected the FBI's insistence that Bulger was a top echelon federal informant. "James Bulger was not an informant,'' Carney said. "James Bulger is an Irish person. The worst thing an Irish person could do is become an informant." Carney argued that Bulger instead was paying the FBI for information that allowed the Winter Hill Gang to create a stronghold on bookmaking, loansharking, and drug dealing in Boston without fear of federal prosecution, not providing information on Italian criminal compatriots. "In order to protect this business, he wanted information and paid for it from corrupt law enforcement officers,'' Carney said. "He was told where the bugs were placed, where search warrants were being executed, so he could clear his stuff out." Carney pointed out that Bulger was making "millions upon millions upon millions of dollars" with his criminal enterprise but was never targeted for federal prosecution until 1995. "What does that tell you?" Carney said. Corrupt agents, Carney argued, didn't look for Bulger – whose California apartment was seven miles from FBI headquarters in Los Angeles. "He settled in California. Not hiding. Living openly in plain sight while those FBI agents pretended to look for him,'' Carney said. The Gaskos, who blended in with the elderly community who live along the beach, walked the Santa Monica promenade most nights, ate an at an upscale Italian eatery named Michael's a block away from their apartment, and watched the Celtics win a championship at the Boston-themed bar Sonny McCleans. Bostonians have described the Bulger case as the trial of the century. The 83-year-old defendant stared ahead wordlessly at a defense table wearing a green long-sleeved jersey. His brother, John "Jackie" Bulger, was in the courtroom. Spectators hoping to see another Bulger brother, former Massachuestts Senate president William Bulger, were disappointed. After Whitey Bulger fled, William Bulger famously testified at a Congressional hearing that he had no idea his brother was a criminal. Also present in the courtroom were family members of murder victims. Some families wore buttons emblazoned with the names or photographs of their slain loved ones. "It's bittersweet,'' Steve Davis told ABC News. Bulger is accused of murdering his sister Debra Davis and burying her in the same dirt basement as Arthur "Bucky" Barrett. Bulger's stronghold on South Boston, and his sordid relationship with the Boston FBI field office, inspired the movie The Departed and a cable television series on Showtime called Brotherhood.